If you're looking for a chic fashion accessory, these sophisticated eyeglasses frames for women will perfect your final look. 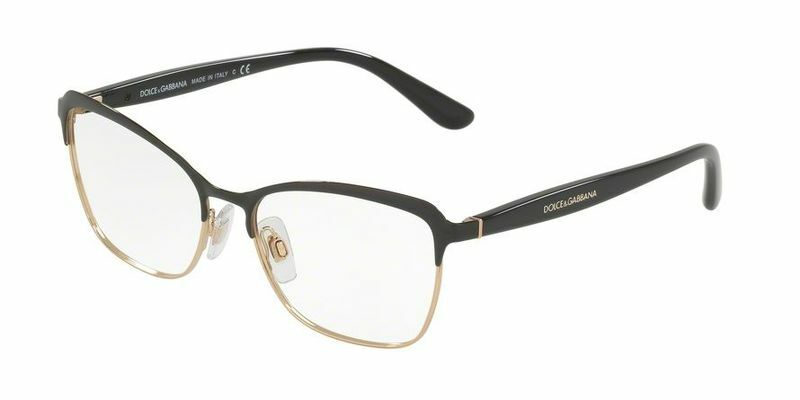 Metal Dolce & Gabbana DG1286 eyeglasses are strong and durable, and this can benefit you in many ways. If you're looking for something practical and original at the same time, these metal frames could be what you're looking for in a pair of quality eyeglasses. These vintage inspired couture butterfly frames will have you feeling like you're the queen of all. Rock this classic boho look and hide behind your larger than life frames, because these Dolce & Gabbana DG1286 sunglasses will surely draw attention to your natural beauty and bring more balance to thinner faces.